a. Not the same as the Het Wilhelmus of the Netherlands. b. Before 1999, Luxembourgish franc. d. ^ "CIA – The World Factbook – Field Listing – Distribution of family income – Gini index". United States government. https://www.cia.gov/library/publications/the-world-factbook/fields/2172.html#Govt. Retrieved 3 May 2013. Luxembourg /ˈlʌksəmbɜrɡ/ (Luxembourgish: Lëtzebuerg; German: Luxemburg), officially the Grand Duchy of Luxembourg,[note 1] is a landlocked country in western Europe. It is bordered by Belgium to the west and north, Germany to the east, and France to the south. Its capital, Luxembourg City, is, together with Brussels and Strasbourg, one of the three official capitals of the European Union and the seat of the European Court of Justice, the highest juridical instance in the EU. Its culture, people and languages are highly intertwined with its neighbors, making it essentially a mixture of French and Germanic cultures. The repeated invasions by its neighbor countries, especially in World War II, resulted in the country's strong will for mediation between France and Germany and led to the foundation of the European Union. Luxembourg is a founding member of the European Union, OECD, United Nations, NATO, and Benelux, reflecting its political consensus in favour of economic, political, and military integration. The city of Luxembourg, which is the country's capital and largest city, is the seat of several institutions and agencies of the EU. Luxembourg served on the United Nations Security Council for the years 2013 and 2014, which was a first in the country's history. In 2016 Luxembourgish citizens had visa-free or visa-on-arrival access to 172 countries and territories, ranking the Luxembourgian passport 6th in the world, tied with countries such as Canada and Switzerland. In the 14th and early 15th centuries, three members of the House of Luxembourg reigned as Holy Roman Emperors. In 1437 the House of Luxembourg suffered a succession crisis, precipitated by the lack of a male heir to assume the throne, which led to the territories being sold by Duchess Elisabeth to Philip the Good of Burgundy. After the defeat of Napoleon in 1815, Luxembourg was disputed between Prussia and the Netherlands. The Congress of Vienna formed Luxembourg as a Grand Duchy within the German Confederation in personal union with the Netherlands, being at the same time a part of the Netherlands and ruled as one of its provinces, with the Fortress of Luxembourg manned by Prussian troops. This arrangement was revised by the 1839 First Treaty of London, from which date Luxembourg's full independence is reckoned. At the time of the Belgian Revolution of 1830–1839, and by the 1839 Treaty establishing full independence, Luxembourg's territory was reduced by more than half, as the predominantly francophone western part of the country was transferred to Belgium. In 1842 Luxembourg joined the German Customs Union (Zollverein). This resulted in the opening of the German market, the development of Luxembourg's steel industry, and expansion of Luxembourg's railway network from 1855 to 1875, particularly the construction of the Luxembourg-Thionville railway line, with connections from there to the European industrial regions. While Prussian troops still manned the fortress, in 1861 the Passerelle was opened, the first road bridge spanning the Pétrusse river valley, connecting the Ville Haute and the main fortification on the Bock with Luxembourg railway station, opened in 1859, on the then fortified Bourbon plateau to the south. After the Luxembourg Crisis of 1866 nearly led to war between Prussia and France, the Grand Duchy's independence and neutrality were again affirmed by the 1867 Second Treaty of London, Prussia's troops were withdrawn from the Fortress of Luxembourg and its Bock and surrounding fortifications were dismantled. The King of the Netherlands remained Head of State as Grand Duke of Luxembourg, maintaining personal union between the two countries until 1890. At the death of William III, the Netherlands throne passed to his daughter Wilhelmina, while Luxembourg (then restricted to male heirs by the Nassau Family Pact) passed to Adolph of Nassau-Weilburg. In August 1914 Imperial Germany violated Luxembourg's neutrality by invading it in its war against France. This allowed Germany to use the railway lines, while at the same time denying them to France. Nevertheless, despite the German occupation, Luxembourg was allowed to maintain much of its independence and political mechanisms. In 1940 after the outbreak of World War II, Luxembourg's neutrality was again violated when the Wehrmacht of Nazi Germany entered the country, "entirely without justification". In contrast to the First World War, under the German occupation of Luxembourg during World War II, the country was treated as German territory and informally annexed to the adjacent province of the Third Reich. A government in exile based in London supported the Allies, sending a small group of volunteers who participated in the Normandy invasion. Luxembourg was liberated in September 1944, and became a founding member of the United Nations in 1945. Luxembourg's neutral status under the constitution formally ended in 1948, and in 1949 it became a founding member of NATO. In 1951 Luxembourg became one of the six founding countries of the European Coal and Steel Community, which in 1957 would become the European Economic Community and in 1993 the European Union, and in 1999 Luxembourg joined the euro currency area. In 2005, a referendum on the EU treaty establishing a constitution for Europe was held in Luxembourg. Luxembourg is a parliamentary democracy headed by a constitutional monarch. Under the constitution of 1868, executive power is exercised by the Grand Duke and the cabinet, which consists of several other ministers. The Grand Duke has the power to dissolve the legislature, in which case new elections must be held within three months. However, since 1919, sovereignty has resided with the Nation, exercised by the Grand Duke in accordance with the Constitution and the law. Luxembourg is divided into 3 districts, which are further divided into 12 cantons and then 105 communes. Twelve of the communes have city status, of which the city of Luxembourg is the largest. A NATO owned AWACS aircraft. Luxembourg contributes an army of about 800 soldiers and 100 civil servants to its defense and to NATO. As a landlocked country, it has no navy. To the east, Luxembourg borders the German Bundesland of Rhineland-Palatinate and Saarland, and, to the south, it borders the French région of Lorraine. The Grand Duchy borders the Belgian Walloon Region, in particular the latter's provinces of Luxembourg and Liège, part of which comprises the German-speaking Community of Belgium, to the west and to the north respectively. Graphical depiction of Luxembourg's product exports in 28 colour-coded categories. External debt of Luxembourg is extremely high when external debt per capita or debt-to-GDP ratio is taken into consideration. External debt per capita (2014) is $3,696,467 and as a percentage of GDP it is 3443%, the world's highest by both measurements. With $171 billion in May 2015, the country ranks eleventh in the world in holdings of U.S. Treasury securities. The ranking is however imperfect as some foreign owners entrust the safekeeping of their securities to institutions that are neither in the United States nor in the owner's country of residence. Luxembourg has efficient road, rail and air transport facilities and services. The road network has been significantly modernised in recent years with 147 km (91 mi) of motorways connecting the capital to adjacent countries. The advent of the high-speed TGV link to Paris has led to renovation of the city's railway station and a new passenger terminal at Luxembourg Airport was opened some years ago. There are plans to introduce trams in the capital and light-rail lines in adjacent areas within the next few years. The telecommunications industry in Luxembourg is liberalised and the electronic communications networks are significantly developed. Competition between the different operators is guaranteed by the legislative framework Paquet Telecom of the Government of 2011 which transposes the European Telecom Directives into Luxembourgian law. This encourages the investment in networks and services. The regulator ILR – Institut Luxembourgeois de Régulation ensures the compliance to these legal rules. Luxembourg has modern and widely deployed optical fiber and cable networks throughout the country. In 2010, the Luxembourg Government launched its National strategy for very high-speed networks with the aim to become a global leader in terms of very high-speed broadband by achieving full 1 Gbit/s coverage of the country by 2020. In 2011, Luxembourg had an NGA coverage of 75%. In April 2013, Luxembourg featured the 6th highest download speed worldwide and the 2nd highest in Europe: 32,46 Mbit/s. The country's location in Central Europe, stable economy and low taxes favour the telecommunication industry. Signs in front of the Centre Drosbach on the Cloche d'or, in the city of Luxembourg. Satellite connectivity – Teleports (SES), Broadcasting Center Europe and P&T Luxembourg Teleport. Luxembourg is connected through an optical DWDM network, called Teralink to several Tier 1 upstream providers like Level3 and Global Crossing. Teralink offers connectivities up to 100 Gbit/s. P&TLuxembourg established a coherent 100Gbit/s IP connection between Frankfurt and Luxembourg with live traffic in 2011. LU-CIX is Luxembourg's neutral and commercial Internet Exchange Point which was founded in 2009 by Cegecom, Datacentre Luxembourg, Global Media Systems, INEXIO, LuxConnect, P&T Luxembourg and Root eSolutions. It offers a short, fast and efficient route to the major European Internet networks. In 2012, LIX, the neutral Internet exchange operated by the RESTENA Foundation, merged with LU-CIX. In March 2013, LU-CIX launched the 'Central European Peering Hub' in order to provide the opportunity to its members to connect to other IXs' reseller programs, AMS-IX (Amsterdam), LINX (London), DE-CIX (Frankfurt) and France-IX (Paris), etc. The online portal De Guichet of the Grand Duchy of Luxembourg is a single one-stop online shop for citizens and companies to undertake various administrative operations (procedures, online forms, downloadable forms and advice) by Internet. PSA Peugeot Citroën, with P&TLuxembourg as its partner, has introduced an integrated mobile telecommunication solution for the development of its telematic services in Europe. The people of Luxembourg are called Luxembourgers. The immigrant population increased in the 20th century due to the arrival of immigrants from Belgium, France, Italy, Germany, and Portugal, with the majority coming from the latter: in 2013 there were about 88,000 inhabitants with Portuguese nationality. There is also a very small Romani (Gypsy) and Jewish population. Both of the two groups living in Luxembourg were affected by the Holocaust in the past and were expelled from Luxembourg. 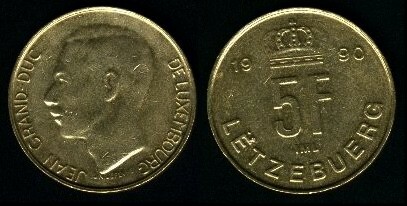 Coin of the former Luxembourg franc in two of the country's three languages: French (obverse, left) and Luxembourgish (reverse, right). Three languages are recognised as official in Luxembourg: French, German, and Luxembourgish, a Franconian language of the Moselle region that is also spoken in neighbouring parts of Belgium, France and Germany. Though Luxembourgish is part of the West Central German group of High German languages, more than 5,000 words in the language are of French origin. The first printed sentences in Luxembourgish appeared in a weekly journal, the 'Luxemburger Wochenblatt', in the second edition on 14 April 1821. Each of the three languages is used as the primary language in certain spheres. Luxembourgish is the language that Luxembourgers generally use to speak to each other, but it is not often used as the written language. Since the 1980s an increasing number of novels have however been written in Luxembourgish. Most official (written) business is carried out in French. German is usually the first language taught in school and is the language of much of the media and of the church. Luxembourg's education system is trilingual: the first years of primary school are in Luxembourgish, before changing to German; while in secondary school, the language of instruction changes to French. Proficiency in all three languages is required for graduation from secondary school, but half the students leave school without a certified qualification, with the children of immigrants being particularly disadvantaged. In addition to the three official languages, English is taught in the compulsory schooling and much of the population of Luxembourg can speak English, especially in Luxembourg City. Portuguese, the language of the largest immigrant community, is also spoken by large parts of the population, but by relatively few from outside their community. Since 1980 it has been illegal for the government to collect statistics on religious beliefs or practices. An estimation by the CIA Factbook for the year 2000 is that 87% of Luxembourgers are Catholic, including the royal family, the remaining 13% being made up of Muslims, Protestants, Orthodox Christians, Jews, and those of other or no religion. According to a 2010 Pew Research Center study 70.4% are Christian, 2.3% Muslim, 26.8% unaffiliated and 0.5% other religions. The country has produced some internationally-known artists, including the painters Théo Kerg, Joseph Kutter and Michel Majerus, and photographer Edward Steichen, whose The Family of Man exhibition has been placed on UNESCO's Memory of the World register, and is now permanently housed in Clervaux. Movie star Loretta Young was of Luxembourgish descent. In his cycling career, Charly Gaul won three Grand Tours. Unlike most countries in Europe, sport in Luxembourg is not concentrated upon a particular national sport, but encompasses a number of sports, both team and individual. Despite the lack of a central sporting focus, over 100,000 people in Luxembourg, out of a total population of only 512,353, are licensed members of one sports federation or another. The largest sports venue in the country is d'Coque, an indoor arena and Olympic swimming pool in Kirchberg, north-eastern Luxembourg City, which has a capacity of 8,300. The arena is used for basketball, handball, gymnastics, and volleyball, including the final of the 2007 Women's European Volleyball Championship. The national stadium (also the country's largest) is the Stade Josy Barthel, in western Luxembourg City; named after the country's only official Olympic gold medallist, the stadium has a capacity of 8,054. The main languages of media in Luxembourg are French and German. The newspaper with the largest circulation is the German-language daily Luxemburger Wort. In addition there are both English and Portuguese radio and national print publications but accurate audience figures are difficult to gauge since the national media survey by ILRES  is conducted in French. ^ a b c d "Luxembourg". International Monetary Fund. http://www.imf.org/external/pubs/ft/weo/2016/01/weodata/weorept.aspx?sy=2016&ey=2021&scsm=1&ssd=1&sort=country&ds=.&br=1&pr1.x=42&pr1.y=6&c=137&s=NGDPD%2CNGDPDPC%2CPPPGDP%2CPPPPC&grp=0&a=. Retrieved 2 April 2016. ^ "Gini coefficient of equivalised disposable income (source: SILC)". Eurostat Data Explorer. http://appsso.eurostat.ec.europa.eu/nui/show.do?dataset=ilc_di12. Retrieved 4 December 2015. ^ "The first results of the population census", Statistics Portal, Luxembourg. Retrieved 12 July 2012. ^ "Luxemburger Wort – Asselborn's final Security Council meeting". Wort.lu. 19 December 2014. http://www.wort.lu/en/politics/un-asselborn-s-final-security-council-meeting-54943bcb0c88b46a8ce49a8d. Retrieved 2 April 2015. ^ "Global Ranking – Visa Restriction Index 2016". Henley & Partners. https://www.henleyglobal.com/files/download/HP/hvri/HP%20Visa%20Restrictions%20Index%20160223.pdf. Retrieved 27 February 2016. ^ "Emperor Charles IV elected Greatest Czech of all time". Radio Prague. 13 June 2005. http://www.radio.cz/en/section/curraffrs/emperor-charles-iv-elected-greatest-czech-of-all-time. Retrieved 15 October 2010. ^ "History of the Grand Duchy of Luxembourg" (PDF). Archived from the original on 2 February 2012. https://web.archive.org/web/20120202013230/http://www.gouvernement.lu/publications/luxembourg/apropos_histoire/ap_histoire_2008_EN.pdf. ^ "LUXEMBURG Geschiedenis". Landenweb.net. http://www.landenweb.net/luxemburg/geschiedenis/. Retrieved 1 February 2013. ^ "Central Intelligence Agency". Cia.gov. https://www.cia.gov/library/publications/the-world-factbook/fields/2088.html. Retrieved 1 February 2013. 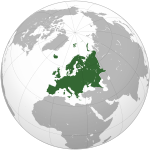 ^ The Great European treaties of the nineteenth century. The Clarendon Press. 1918. p. 259. https://archive.org/stream/greateuropeantre00oakeiala/greateuropeantre00oakeiala_djvu.txt. ^ "The invasion of Belgium, The Netherlands and Luxembourg". Judgment of the International Military Tribunal For The Trial of German Major War Criminals. London HMSO 1951. http://www.nizkor.org/ftp.cgi?imt/tgmwc/judgment/j-invasion-belgium. ^ "The Luxembourgish government since 1848 (in French)". http://www.gouvernement.lu/publications/gouvernement/gouvernements_depuis_1848/Les_gouvernements_depuis_1848.pdf. ^ "Structure of the Conseil d'Etat". Conseil d'Etat. Archived from the original on 19 June 2006. https://web.archive.org/web/20060619171336/http://www.ce.etat.lu/structure.htm. Retrieved 23 July 2006. ^ "Carte des communes – Luxembourg.lu – Cartes du Luxembourg". Luxembourg.public.lu. 21 September 2011. http://www.luxembourg.public.lu/fr/tourisme/cartes/communes/index.html. Retrieved 1 February 2013. ^ "Luxembourg". Aeroflight.co.uk. 8 September 2005. http://www.aeroflight.co.uk/waf/lux/luxaf1.htm. Retrieved 23 July 2006. ^ "Luxembourg". Stadtklima (Urban Climate). Archived from the original on 28 September 2007. http://www.stadtklima.de/webklima/CITIES/Europe/Lx/luxembourg/luxembourg.htm. Retrieved 19 April 2007. ^ "Statistics Portal // Luxembourg – Home". Statistiques.public.lu. http://www.statistiques.public.lu/en/index.html. Retrieved 2 April 2015. ^ "Luxembourg makes progress in OECD standards on tax information exchange". OECD. 8 July 2009. http://www.oecd.org/document/51/0,3746,en_2649_33767_43281075_1_1_1_1,00.html. ^ "Kim Jong-il $4bn emergency fund in European banks". Telegraph. March 2010. http://www.telegraph.co.uk/news/worldnews/asia/northkorea/7442188/Kim-Jong-il-keeps-4bn-emergency-fund-in-European-banks.html. ^ Griffiths, Ian (4 April 2012). "How one word change lets Amazon pays less tax on its UK activities". London: TheGuardian. http://www.guardian.co.uk/technology/2012/apr/04/amazon-fulfilment-less-tax-uk-activities. ^ "Embargo 4 October 0.01 AM Central European Times" (PDF). Financialsecrecyindex.com. http://www.financialsecrecyindex.com/Archive2011/FSI-2011/FSI-Rankings.pdf. Retrieved 2 April 2015. ^ "Top Ten: Die Länder mit der höchsten Pkw-Dichte – manager magazin – Unternehmen". Manager-magazin.de. http://www.manager-magazin.de/fotostrecke/fotostrecke-53425.html. Retrieved 2 April 2015. ^ "Legilux – Réseaux et services de communications électroniques". Legilux.public.lu. http://www.legilux.public.lu/leg/a/archives/2011/0043/2011A0610A.html. Retrieved 2 April 2015. ^ "Institut Luxembourgeois de Régulation – Communications électroniques". Ilr.public.lu. http://www.ilr.public.lu/communications_electroniques/index.html. Retrieved 2 April 2015. ^ "Service des médias et des communications (SMC) – gouvernement.lu // L’actualité du gouvernement du Luxembourg". Mediacom.public.lu. http://www.mediacom.public.lu/institutions/Institutions_nationales/smc/20100309_ngn/index.html. Retrieved 2 April 2015. ^ "Study on broadband coverage 2011. Retrieved on 25 January 2013.". http://ec.europa.eu/information_society/newsroom/cf/dae/document.cfm?action=display&doc_id=1102. Retrieved 7 October 2013. ^ "Household Download Index. Retrieved on 9 April 2013". Netindex.com. 6 April 2011. http://www.netindex.com. Retrieved 7 October 2013. ^ "American Chamber of Commerce Luxembourg – Why Luxembourg?". http://www.amcham.lu/publications/why-luxembourg/. ^ "Financial express special issue on Luxembourg" (PDF). 23 June 2009. http://newdelhi.mae.lu/en/content/download/23985/164837/file/Financial%20Express%20special%20issue%20on%20Luxembourg.pdf. Retrieved 13 August 2010. ^ "Luxembourg ranks on the top in the ITU ICT survey". http://www.bed.public.lu/key_sectors/ecommerce_and_media/itu_ict_survey/index.html. ^ "Global Broadband Quality Study". Socsci.ox.ac.uk. http://www.socsci.ox.ac.uk/news_archive/archived/global_broadband_quality_improves_but_uk_is_lagging. Retrieved 2 April 2015. ^ "Global Broadband Quality Study Shows Progress, Highlights Broadband Quality Gap" (PDF). Said Business School, University of Oxford. http://www.sbs.ox.ac.uk/newsandevents/Documents/BQS%202009%20final.pdf. Retrieved 13 August 2010. ^ "ams-ix.net". ams-ix.net. http://www.ams-ix.net/. Retrieved 7 October 2013. ^ "de-cix.net". de-cix.net. http://www.de-cix.net/. Retrieved 7 October 2013. ^ "linx.net". linx.net. https://www.linx.net/. Retrieved 7 October 2013. ^ Tom Kettels (15 May 2009). "ICT And E-Business – Be Global from Luxembourg" (PDF). Archived from the original on 21 July 2011. http://www.nasscom.in/upload/GTD/Luxembourg_for_ICT.pdf. Retrieved 13 August 2010. ^ "Globale Rechenzentren | Colocation mit niedrigen Latenzen für Finanzunternehmen, CDNs, Enterprises & Cloud-Netzwerke bei Equinix" (in de). Ancotel.de. http://www.ancotel.de/cms/front_content.php. Retrieved 2 April 2015. ^ "Teralink". Teralink.lu. http://www.teralink.lu/. Retrieved 7 October 2013. ^ "Teralink P&T Luxembourg". Teralink.lu. http://www.teralink.lu/. Retrieved 2 April 2015. ^ "Welcome to LuxConnect | LuxConnect". Luxconnect.lu. http://www.luxconnect.lu/. Retrieved 2 April 2015. ^ "LuxConnect hosted the first coherent 100G service testing". Paperjam.lu. http://www.paperjam.lu/communique_de_presse/fr/luxconnect-hosted-first-coherent-100g-service-testing. Retrieved 2 April 2015. ^ "Artelis Website". Artelis.lu. http://www.artelis.lu/index_en.html. Retrieved 2 April 2015. ^ "SES : Global Fleet and access Network" (PDF). Ses.com. http://www.ses.com/7543765/SES-teleport-network.pdf. Retrieved 2 April 2015. ^ "POST.lu". Teralink.lu. http://www.teralink.lu/Teralink-Products/Satellite-Uplink. Retrieved 2 April 2015. ^ "The World Teleport Directory". Worldteleport.org. http://www.worldteleport.org/page/MKT_EUR_3. Retrieved 2 April 2015. ^ "Uplink Stations". Uplinkstation.com. http://www.uplinkstation.com/or/P&T-Luxembourg.html. Retrieved 2 April 2015. ^ "POST.lu". Teralink.lu. http://www.teralink.lu/. Retrieved 2 April 2015. ^ "International Solutions TERALINK and Cloud services" (PDF). Ictspring.com. http://www.ictspring.com/wp-content/uploads/2011/01/p_and_t_luxembourg_micael_weber.pdf. Retrieved 2 April 2015. ^ "P&TLuxembourg employs Alcatel-Lucent for 100G optical, Ethernet network". Fiercetelecom.com. http://www.fiercetelecom.com/story/ptluxembourg-employs-alcatel-lucent-100g-optical-ethernet-network/2011-09-19?utm_medium=rss&utm_source=rss. Retrieved 2 April 2015. ^ "P&T Luxembourg Does 100G With AlcaLu". Heavyreading.com. http://www.heavyreading.com/document.asp?doc_id=212377. Retrieved 2 April 2015. ^ "Why LU-CIX". Lu-cix.lu. http://www.lu-cix.lu/why-lu-cix.html. Retrieved 2 April 2015. ^ "LU-CIX in P&T Solutions". Pt.lu. http://www.pt.lu/webdav/site/portailEPT/groups/DT_redacteurs/public/downloads/ptsolutions/P&TSolutions%2019.pdf. Retrieved 2 April 2015. ^ "Merger between LIX and LU-CIX". Lix.lu. http://www.lix.lu. Retrieved 2 April 2015. ^ "LU-CIX and IX Reach Open up Connectivity to Major Internet Exchanges". Lu-cix.lu. http://www.lu-cix.lu/downloads/press-release-central-european-peering-hub-29-03-2013.pdf. Retrieved 2 April 2015. ^ "Luxembourg Ethernet Exchange (LEX)". Ebrc.lu. http://www.ebrc.lu/datacenter-resilient-services/interconnection-services/lex-luxembourg-ethernet-exchange.html. Retrieved 2 April 2015. ^  Archived December 30, 2012 at the Wayback Machine. ^ "A future for all in the information society". Eluxembourg.public.lu. http://www.eluxembourg.public.lu/index.html. Retrieved 2 April 2015. ^ "PSA – Integrated mobile telecommunication solution". Psa-peugeot-citroen.com. http://www.psa-peugeot-citroen.com/document/presse_communique/CP%20PSA%20Signature%20P_TLuxembourgTelematique_2009%20 GB1242377645.pdf. Retrieved 2 April 2015. ^ "PSA – Integrated mobile telecommunication solution.". Psa-peugeot-citroen.com. http://www.psa-peugeot-citroen.com/en/psa_espace/press_releases_details_d1.php?id=942. Retrieved 2 April 2015. ^ "European Datacentres: Luxembourg". Ict.luxembourg.lu. http://ict.investinluxembourg.lu/ict/cb-richard-ellis-luxembourg-data-centres. Retrieved 2 April 2015. ^ "Luxembourg as a Centre for Online and ICT Business (pdf).". SMediacom.public.lu. http://www.mediacom.public.lu/institutions/Institutions_nationales/smc/20100309_ngn/IDC_20White_20Paper_20-_20Luxembourg_20as_20a_20center_20for_20online_20and_20ICT_20business.pdf. Retrieved 2 April 2015. ^ "Data Center Europe". http://www.investinluxembourg.lu/ict/data-center-europe. ^ "ebrc Datacenter Facilities". Ebrc.lu. http://www.ebrc.lu/about-ebrc/datacenter-luxembourg-facilities.html. Retrieved 2 April 2015. ^ "LuxConnect ICT campus Bettembourg DC 1.1". Luxconnect.lu. http://www.luxconnect.lu/data-center-co-location-services/ict-campus-bettembourg-dc-11. Retrieved 2 April 2015. ^ "LuxConnect ICT campus Bissen/Roost DC 2". Luxconnect.lu. http://www.luxconnect.lu/data-center-co-location-services/ict-campus-bissenroost-dc-2. Retrieved 2 April 2015. ^ "Uptime Tier Certification". Uptimeinstitute.com. http://uptimeinstitute.com/TierCertification/allCertifications.php?page=1&ipp=All&clientId=85&countryName=&tierLevel=. Retrieved 2 April 2015. ^ "New data center study: Luxembourg in pole position". Ict.luxembourg.lu. http://ict.investinluxembourg.lu/ict/new-data-center-study-luxembourg-pole-position. Retrieved 2 April 2015. ^ "Soluxions magazine: Luxembourg en pole position". Soluxions-magazine.com. http://www.soluxions-magazine.com/Luxembourg-en-pole-position_a2384.html. Retrieved 2 April 2015. ^ "Population par sexe et par nationalité (x 1 000) 1981, 1991, 2001 – 2013". Le portail des Statistiques. http://www.statistiques.public.lu/stat/TableViewer/tableView.aspx?ReportId=384&IF_Language=fra&MainTheme=2&FldrName=1. Retrieved 9 April 2014. ^ Amanda Levinson. "The Regularisation of Unauthorised Migrants: Literature Survey and Country Case Studies – Regularisation programmes in Luxembourg" (PDF). Centre on Migration, Policy and Society, University of Oxford. Archived from the original on 2 September 2006. http://www.compas.ox.ac.uk/publications/papers/Country%20Case%20Luxembourg.pdf. Retrieved 2 September 2006. ^ "Parlement européen – Lëtzebuergesch léieren (FR)". Europarl.europa.eu. 14 December 2000. http://www.europarl.europa.eu/language/apprendrelu_fr.htm. Retrieved 2 April 2015. ^ "Europeans and Their Languages" (PDF). European Commission. 2006. p. 7. http://ec.europa.eu/public_opinion/archives/ebs/ebs_243_en.pdf. Retrieved 5 November 2009. ^ "À propos des langues" (in fr) (PDF). Service Information et Presse. pp. 3–4. http://www.eu2005.lu/fr/savoir_lux/lux_publications/a_propos_langues/a_propos_langues.pdf. Retrieved 1 August 2006. ^ "Discrimination in the EU in 2012 – Special Eurobarometer 393 (The question asked was "Do you consider yourself to be...?")". European Commission. http://ec.europa.eu/public_opinion/archives/ebs/ebs_393_en.pdf. Retrieved 2 February 2016. ^ "D'Wort article (German)" (in fr). www.wort.lu. Archived from the original on 22 May 2008. http://www.wort.lu/articles/5957651.html. Retrieved 24 July 2007. ^ "Mémorial A, 1979, No. 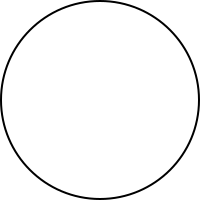 29" (in fr) (PDF). Service central de législation. http://www.legilux.public.lu/leg/a/archives/1979/0291104/0291104.pdf#page=2. Retrieved 1 August 2006. ^ "World Factbook – Luxembourg". Central Intelligence Agency. 19 December 2006. https://www.cia.gov/library/publications/the-world-factbook/geos/lu.html. Retrieved 13 January 2007. ^ "Table: Religious Composition by Country, in Percentages | Pew Research Center's Religion & Public Life Project". Features.pewforum.org. 18 December 2012. http://features.pewforum.org/grl/population-percentage.php. Retrieved 2 April 2015. ^ "World/Global Alcohol/Drink Consumption 2009". Finfacts.ie. http://www.finfacts.ie/Private/bestprice/alcoholdrinkconsumptionpriceseurope.htm. Retrieved 2 April 2015. ^ "Consommation annuelle moyenne d’alcool par habitant, Catholic Ministry of Health". sante.gouv.fr. 2007. Archived from the original on 12 January 2012. https://web.archive.org/web/20120112184246/https://www.sante.gouv.fr/IMG/pdf/esp2007-obj-01.pdf. ^ "Culture". Ministère des Affaires Etrangères, Luxembourg. Archived from the original on 22 July 2011. http://shanghai.mae.lu/en/The-Grandy-Duchy-of-Luxembourg/Culture. ^ "Luxembourg and Greater Region, European Capital of Culture 2007". June 2008. Archived from the original on 3 May 2011. http://www.mcesr.public.lu/presse/annee_culturelle_2007/portail_luxembourg_2007/Rapport_final_anglais.pdf. ^ "Environmental Report for Expo 2010 Shanghai China". June 2009. p. 85. Archived from the original on 21 July 2011. http://www.sepb.gov.cn/english/downloads/Expo2010.pdf. ^ "Luxembourg pavilion displays green heart of Europe" (PDF). Shanghai Daily. 12 November 2007. http://www.2010shanghai.eu/images/stories/eu-pavilions/luxembourg-pavilion/luxembourg.pdf. Retrieved 24 December 2011. ^ "Luxembourg". Council of Europe. 2003. Archived from the original on 23 June 2004. https://web.archive.org/web/20040623101906/http://www.coe.int/T/E/cultural_co-operation/Sport/Monitoring_fulfillment/Anti-Doping_Convention/4.Luxembourg.asp. Retrieved 25 November 2006. ^ "Luxemburger Wort". Wort.lu. http://www.wort.lu. Retrieved 2 April 2015. ^ "TNS ILRES – Home". Tns-ilres.com. https://www.tns-ilres.com/cms/Home. Retrieved 2 April 2015. ^ "Film Fund Luxembourg". En.filmfund.lu. http://en.filmfund.lu/the-film-fund/mission/index.php. Retrieved 2 April 2015. ^ "Luxembourgish Film Production Companies". Cna.public.lu. http://www.cna.public.lu/film/infos-pratiques/index-professionnels/societes-production-studios/index.html. Retrieved 2 April 2015. Kreins, Jean-Marie (2003) (in French). Histoire du Luxembourg (3rd ed.). Paris: Presses Universitaires de France. ISBN 978-2-13-053852-3. This page uses content from the English language Wikipedia. The original content was at Luxembourg. The list of authors can be seen in the page history. As with this Familypedia wiki, the content of Wikipedia is available under the Creative Commons License.